I took the fuzzy picture above from a fair distance through our kitchen window. It’s a view I see at various times of the day as Fudge, the cat in the picture sits waiting for his owner to come home. John says he is only waiting for his next meal, but he is out there at the end of the drive twice a day, just as he always was before his owner died a week before Christmas. Several neighbors have taken turns feeding him, but when I try to coax him over for a little snack, he runs away. The man’s daughter lives several hours from here and does not know what to do with Fudge. He won’t go with her and he won’t stay put. As far as we can see, he likes to roam. He keeps his distance from people … sometimes even those like me with hand out for comfort and a bit of food to nourish. I keep reaching out, but Fudge cannot bring himself to be comforted or even fed by someone he doesn’t recognize. I on the other hand, wanted to say how much I appreciate the kindness of all of those who stopped by … even the new names that I do not recognize yet. Your messages of support and encouragement after reading this post were a great comfort to me as I am sure they will be to Ray when I am able to share them with him. Thank you so much for taking the time to share your thoughts. As for Fudge, if you live in Cornwall or close by and would like to take in an independent outdoorsy cat, I can put you in touch with the right person. This entry was posted in Choices, Cornwall, Living in UK and tagged Cat, Cornwall, Death, Gifts Of The Journey, Gratitude, MIJ, Rehoming A Pet, The Last Walk – Measured Steps. Bookmark the permalink. 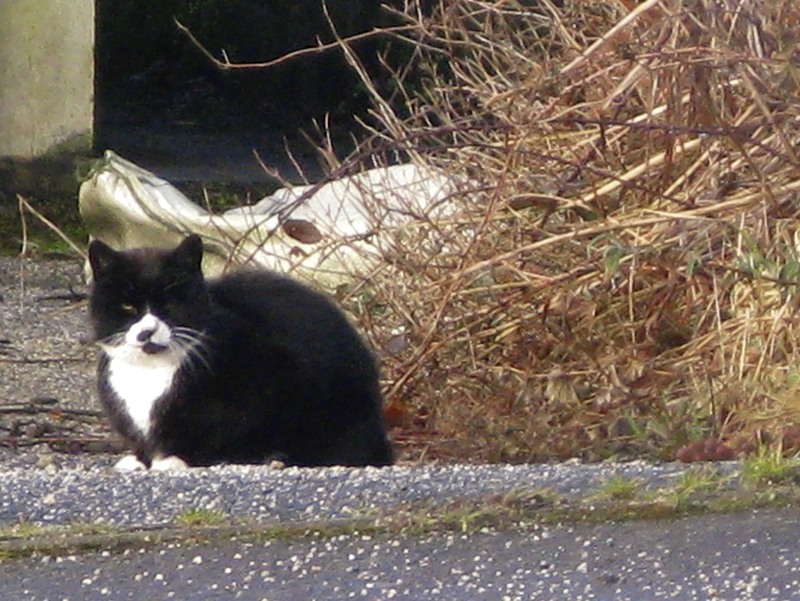 He does look a bit stubborn but I hope so much a nice home is found – kitties need to be loved.